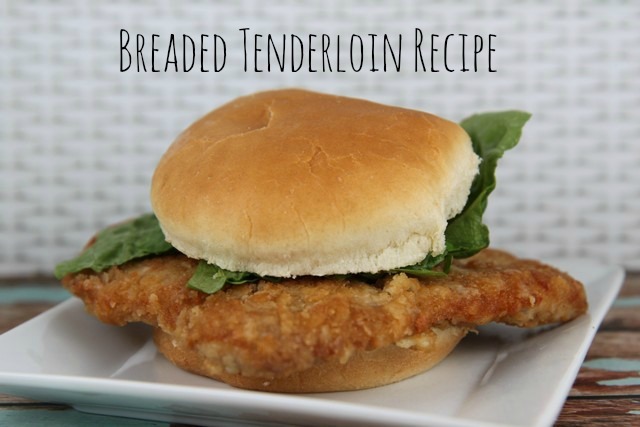 This breaded tenderloin recipe is delicious and easy to make at home and is freezer friendly! This is my mother-in-law’s recipe. She makes these in large batches when pork tenderloin goes on sale for her sons. Then when we are ready to eat, we just pop a couple out of the freezer and fry in oil on the stove top. If you have a deep fryer, you could use that instead. You only need three ingredients. My mother in law uses Town House or Ritz crackers but any buttery flavored cracker will work. 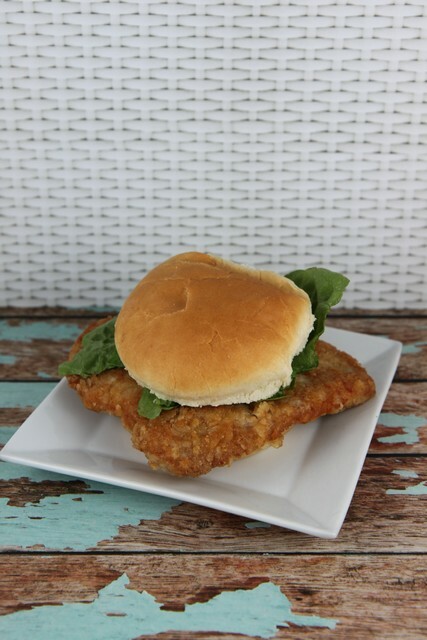 Slice pork loin. Then use a meat tenderizer and beat until you get to the thickness you want. Dip the tenderloin in the beaten eggs. Then dip in crushed cracker crumbs. Freeze by separating with wax paper and store in an air tight container in the freezer. Then use a meat tenderizer and beat until you get to the thickness you want. Dip the tenderloin in the beaten eggs. Then dip in crushed cracker crumbs.